What better way to start your Alaskan vacation then with a photography tour to show you how to take clean, clear, and breathtaking pictures with your digital camera. Alaska is an unbelievable state, and one frequent comment we here from our friends and visitors when they return home is that the photos they took just don’t capture the true grandeur and beauty they remember. With the photo technology that most people travel with these days, there is no reason you cannot end your vacation with amazing photos to match your memories. Before departing on one of our aircraft out into the field you will take a two hour photography class in Anchorage. During this class our instructor will teach you the basics of digital photography, editing and processing, fully explore your camera, and answer any questions you may have. 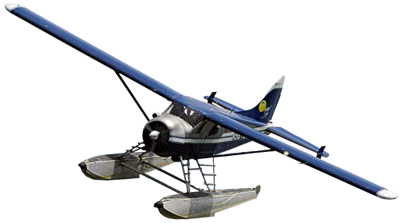 After the class we start our hands on portion by taking a walk around Lake Hood, the biggest and busiest seaplane base in the world, taking pictures of the airplanes and getting your first hands on instruction in the field. After we will depart Anchorage we will fly to one of our amazing remote locations. The location will vary depending on weather conditions, but you can expect to find glaciers, picturesque landscapes, lakes, rivers, forests, and wildlife. When we arrive in the field we will have a hearty box lunch provided for you. After lunch we will follow the instructor into the wilderness looking for glaciers, foliage, wildlife, waterfalls, and scenic landscapes. When the trip is over our instructor will also give you ideas for photo opportunities for the rest of your trip. By the end of this excursion you are sure to have a better understanding of your camera, your skills as a photographer, and our beautiful state. Our morning classroom instruction will be fine tuned to each particular group, and their experience level. The instructor’s goals are to have you fully aware of your particular camera and its capabilities, a solid foundation of photography basics, and a basic knowledge of how to process your photos properly with commonly available software options such as Lightroom and Picasa. We will talk specifically about lighting, framing, shutter speeds, lenses, how to shoot wildlife, how to shoot landscapes, how to shoot with HDR, how to shoot waterfalls, and many more topics depending on student’s existing abilities and knowledge. Amazing Photographs to take home! As well as being an accomplished pilot and Regal Air crewmember since 2003, Dave Oberg is also an accomplished photography and teaching professional. Dave has taught digital photography and editing courses in Anchorage for the past 5 years. Dave was born and raised in Alaska and has been flying in this great state since 1967 with over 20,000 hours of flight time. He brings a unique blend of old time outdoors experience and new age digital photography knowledge to this wonderful tour. Regal Air has been working with Mike Criss for years and we are very excited to have him join our guiding team in 2013. Mike is a professional photographer with works published in National Geographic, Sierra Magazine, Alaska Magazine, and other publications. He and his wife are year round Alaskans, and his love for the state comes through in his photos. He specializes in remote Alaskan scenery and landscapes, but also shoots weddings on the side. He has an amazing skillset and is sure to improve your abilities and knowledge throughout the day.